Qi. Calligraphy by the author. 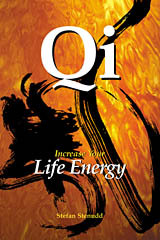 Qi is the Chinese word for life energy, also spelled chi or ki. 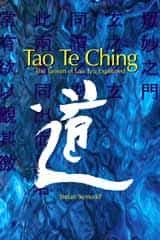 Qi energy is the essence used in acupuncture, qigong, taiji, and reiki, as well as many other traditional arts in China and Japan. The Western counterpart of qi energy is the spirit. 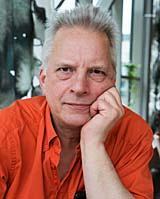 I have practiced the gentle and peaceful Japanese martial art aikido since 1972, when I was a teenager. It still inspires me greatly. Something within aikido vitalizes and delights me, just by practicing the movements. That is qi, the life energy. The swirls and spins of the aikido movements stimulate the flow of qi energy inside me as well as the other practitioners. Aikido might have the form of a martial art, but in essence it's a way of dancing to the flow of the qi energy. 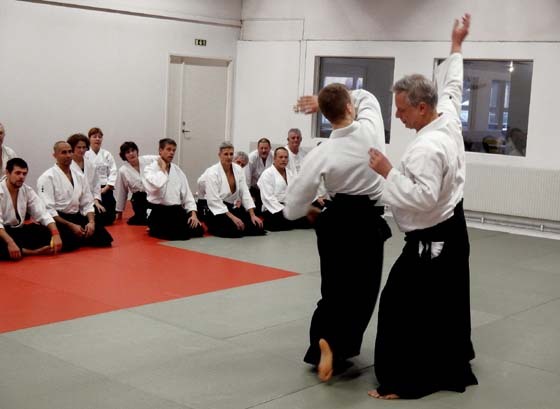 Me showing an aikido technique at my dojo Enighet in Malmö, Sweden. The word aikido says it all. It translates to the way of joining qi (spelled ki when Romanized from Japanese). I let my qi energy emerge and join with that of my training partner. 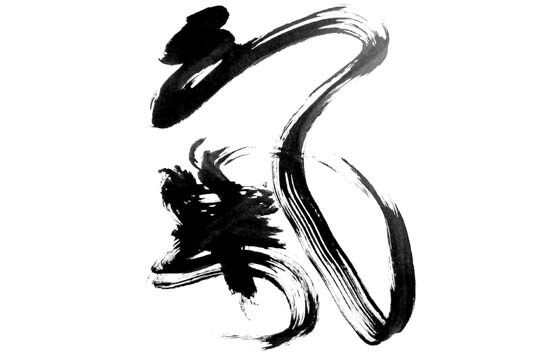 In China and Japan, most of the arts - not just the martial ones - are expressions of the qi energy flow. It's how the painters and calligraphers make their brushes sweep over the paper, how dancers move their bodies, how musicians make their instruments resonate and singers reach out with their voices. It is also essential in such healing methods as acupuncture, qigong, and reiki. I have written a book about qi and how to exercise it. The material on this website is from that book. Click the header to read more about it. The qi energy can be awakened and increased by exercises. It's not even difficult. You need to be persistent, but the method and the exercises are easy as pie. Still, they quickly lead to significant results. To the extent they're all adjusted, your qi will flow all by itself. So, I've collected and developed a set of exercises for each of the five basic conditions. They can be found on this website. See the link below. Belly breathing qi energy exercise. Remember this: although the exercises are quite simple and can be done by anyone without previous training of any kind, you need to be persistent. You can feel a change already the first time you try the exercises, but the effect will not be lasting without repetition. Try to do at least some of them daily. You don't need to work on them for long. A few minutes should suffice, as long as you get back to them the next day, or at least a few times a week. If you don't, your body quickly goes back to its old habits, and your qi energy flow may decrease. So, what is qi, really? This Chinese concept of a life force has been around for thousands of years. Click the header to read my text describing and explaining it. There are several different spellings of qi. That can be confusing, but is easily explained. Click the header to read about it. Here are some fictional scenes that I thought would introduce qi in a concrete way, with examples of normal human experience. Click the header. Qi, the life energy, has many similarities with the Force of Star Wars. Here they are discussed and compared. Click the header. 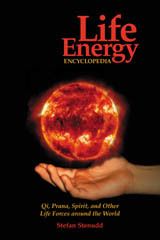 The idea of a life energy is present in many of the world's cultures and ancient traditions. It's often linked to breath - as in the Chinese concept of qi energy, the Indian prana, the Greek pneuma, the Hebrew ruach, and our word spirit, from the Latin spiritus - also used in the word inspiration. Maybe it could simply be explained as a symbolic way of celebrating the joy of being alive: the breath of life, without which we quickly perish. This breath of life can be stimulated to increase. Thereby it rises to something far more than the mere consumption of oxygen, and extends way beyond the reach of our bodies. You will definitely feel the difference. You don't have to believe in qi energy to try it. Keep an open but also critical mind, and make your decision afterwards.